Richard Sandoval's Toro Toro represents some much-needed Latin love in D.C. 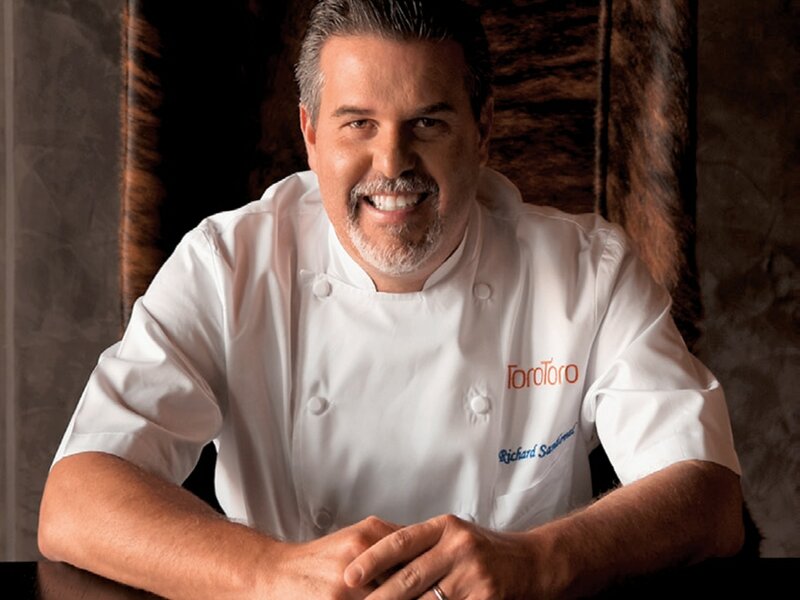 Chef Richard Sandoval oversees a restaurant group of 45 locations. At Toro Toro Pan-Latin Restaurant & Lounge (1300 I St. NW, D.C.) diners will find Argentinian empanadas served alongside chaufa fried rice and Nikkei-style tostadas de pescado. Here, we chat with chef and restaurateur Richard Sandoval about his signature pan-Latin flavor, DC’s food scene and, of course, tacos. Pan-Latin cuisine is so rich and varied—how do you decide what to put on the menu at Toro Toro? RICHARD SANDOVAL: I try to represent the many different places, cuisines and techniques from Latin America and the cultures that influenced its cuisine. Toro Toro is a celebration of Latin American gastronomic culture that integrates fresh ingredients with techniques and flavors of the two richest cuisines in Latin America: Mexican and Peruvian. With 45 restaurants around the globe, how do you balance your time and focus? RS: I try to spend as much time as possible visiting my children—who are both in college—and I play tennis to relax. However, 90 percent of my time is spent on airplanes—they’ve extended the pages in my passport twice in the past few months. The menu items available at Toro Toro Pan-Latin Restaurant & Lounge are inspired by chef Richard Sandoval’s Mexican heritage and regional travels. 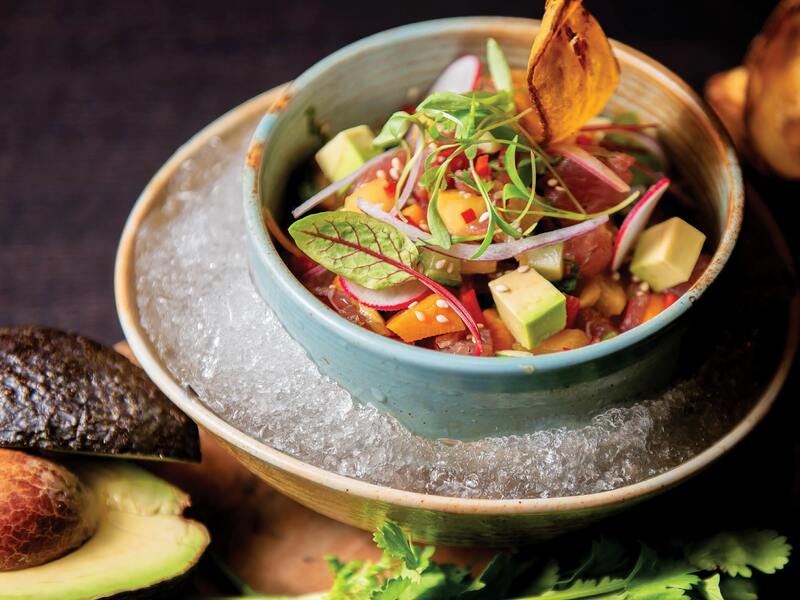 For example, this popular Nikkei-style ceviche dish, which was influenced by vibrant communities of Chinese and Japanese immigrants across South America. What do you think makes D.C. a unique food market compared to the other cities in which RS Hospitality has a presence? RS: Washington is very diverse. The global and political lifestyle in the city brings a lot of people from all over the world, which heavily influences the market. What Latin food trends are you seeing? RS: Giving back to our community. So many chefs are creating charity events at their restaurants or donating a percentage from a dish or drink to a cause in the Latin community. It’s the best culinary movement I’ve seen yet! What’s your favorite Latin dish?